Published in Science, the article “East not least for Pacific bluefin tuna” looks at recent research that changes previously held thoughts about this tuna’s distribution. 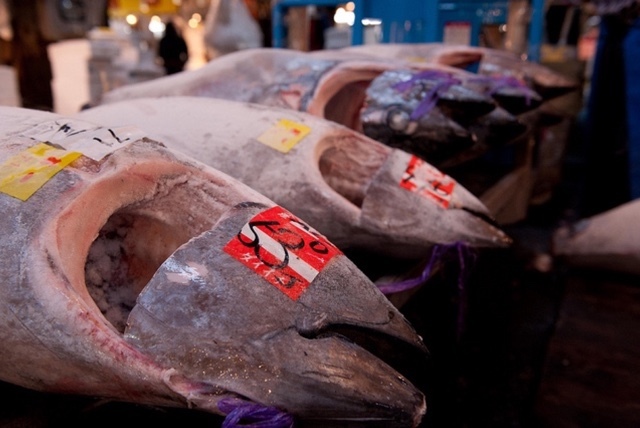 Declines in Pacific bluefin tuna have been attributed to overfishing by countries in the Western Pacific Ocean, such as Japan, Taiwan and Korea, where fisheries target both very young fish (ages 0 and 1) and spawning adults. There is no doubt that these fisheries, particularly the ones targeting young of the year fish, must be curtailed if Pacific bluefin populations have any hope of recovering. But new research suggests that conservation of the fish must also look at fisheries in the Eastern Pacific Ocean — off the coast of North America, that also target juvenile fish. If bluefin must pass through fisheries in both the Western and Eastern Pacific before they have had a chance to spawn, fisheries on both sides of the ocean play a role in determining how many bluefin make it to ages old enough to spawn. Due to the vast migrations of tuna, management can be difficult — both logistically and politically. 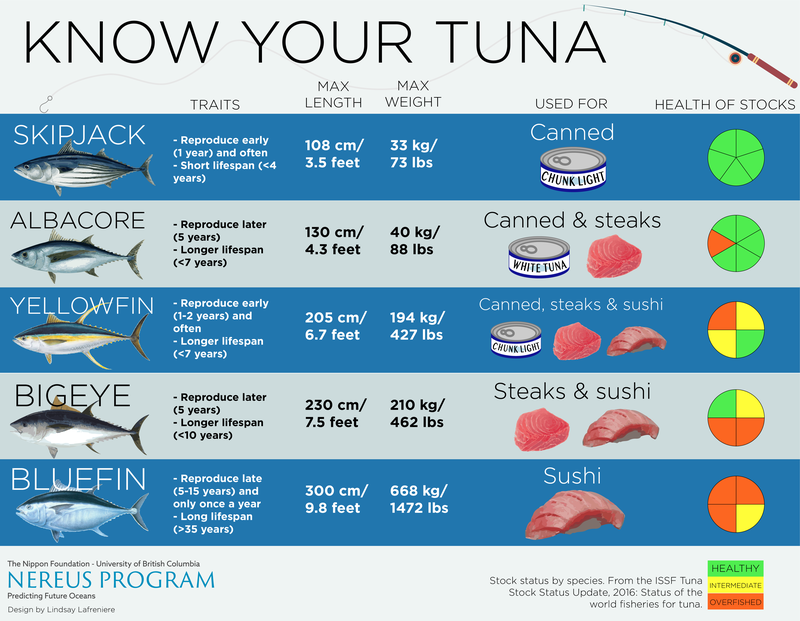 The need for additional conservation on both sides of the Pacific shows the need for the two management bodies responsible for tunas (The Inter-American Tropical Tuna Commission in the east, and the Western and Central Pacific Fisheries Commission in the west) to coordinate on management measures. In addition, the results highlight the need to consider basic movement ecology when implementing science-based fisheries management.